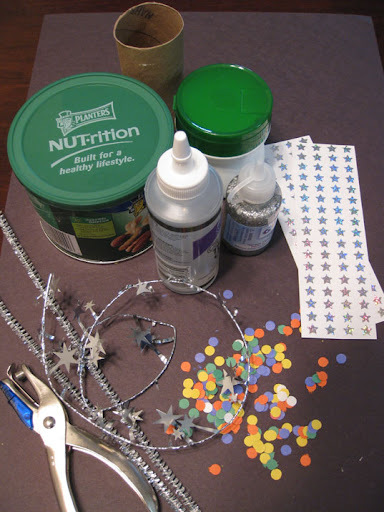 Petite Planet: Craft TuesD.I.Y with Lisa Lopez: New Year's Eve Time Capsules, Noise Makers & Confetti! Craft TuesD.I.Y with Lisa Lopez: New Year's Eve Time Capsules, Noise Makers & Confetti! I am re-posting an oldie but goody from last year! Although New Year's Eve is typically regarded as a holiday for grown-ups, and kids are in bed long before midnight, there is no reason young ones should miss out on having some of their own fun earlier in the evening! 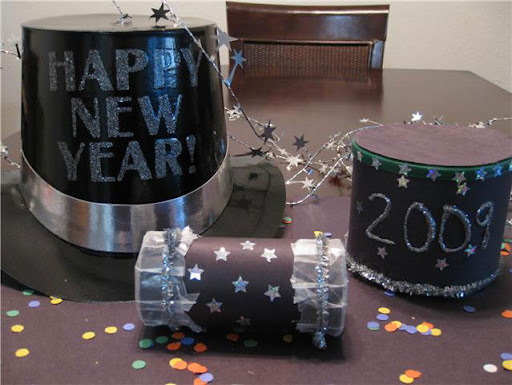 Ring in 2010 together by making these fun, festive crafts from household items! 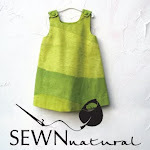 Read on to learn how to make a family time capsule, noise makers, and confetti! And let the countdown begin! Any kind of small container with a lid. I used a mixed nuts can -- you could use a potato chip can or anything you have available. 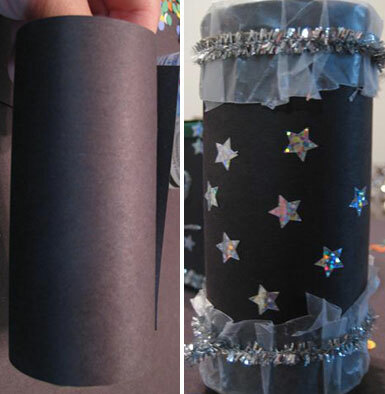 1) Measure and wrap construction paper around your can. Do the same for the lid as well. 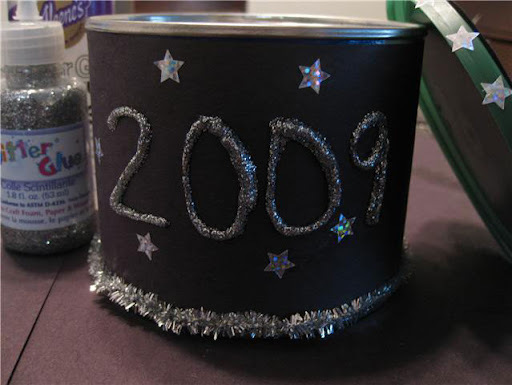 Glue on decorative ribbon, pipe cleaners, and stickers, and then write '2009' on the front of the can with your glitter glue. 3) Place all items into the 'time capsule' and put it away until next New Year's Eve when you can have a peek inside! Or, you could also make the time capsule cover a longer period of time by filling it with history from several years past, and then stow it until several years in the future before re-visiting the memories. An empty TP roll, paper towel roll, or any type of empty tin gum container, tin mint container, etc. 1) If you're using a toilet paper roll to create your noise maker, simply wrap your roll with colored paper, then put some wax paper on one end and secure it in place with a rubber band. 2) Fill the roll 1/4 to 1/2 full with, coins, rice, dry beans, etc. Seal the other end of the roll with wax paper and rubber band it as well. 3) Decorate your noise makers and then shake, shake, shake! Making confetti is super easy! 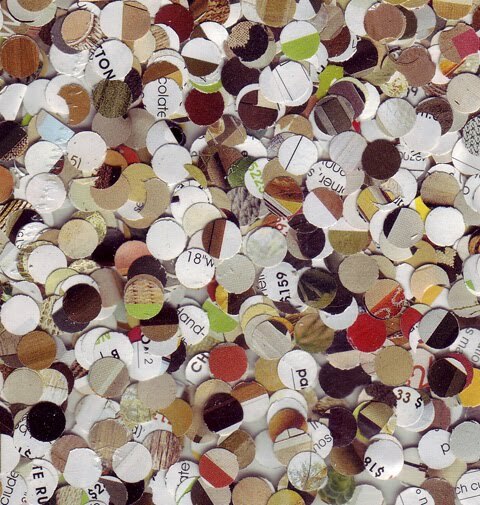 If your child is old enough, equip him/her with a hole puncher and let them go crazy punching holes into scrap paper, newspaper, or junk mail! You can also put your confetti in fun little bags or containers, so each little reveler has their very own stash for tossing with glee! If kids are too young to wield a hole puncher, simply let them shred or tear little pieces of paper up for the same jovial effect! Have fun, and have a Happy New Year!